Designing a website is one thing, anyone with some photoshop or illustrator skills can create a design that looks professional. But a professional website design isn’t always the solution when designing websites that convert traffic into customers. There are billions of websites on the internet, and people are searching for products and services daily, so how do you separate yourself from your competitors. In my opinion, website design is similar to writing a song. You can create a song with a very complex song structure, use a variety of rare instrumentation, and broadcast your musical performance to a very narrow audience that may or may not appreciate your work. On the other hand, you can create a simple four-chord progression, use a guitar and percussion, and broadcast your musical performance to the masses. I believe that web design is very similar to the direction you can take your design. There are graphic artists and web designers that create complex pieces of work that can thoroughly be enjoyed amongst each other and other web design artists in the industry, and then there are the web designers that use template based platforms like WordPress to create stunning, functional websites that grab the attention of the user and convert that traffic into sales. Simplicity seems to be the key to conversion in my opinion. The more complex the web design and layout is, the more noise that a visitor has to sift through to get to where they need to be. By making the design simple, the navigations friendly, and the call to action clear and concise, you can capture the attention of your visitors, lead them through your sales funnels and convert them from prospect to customer. There are few companies out there that create effective web designs that convert like SDARR Studios. This is a small boutique web design and SEO company located in Chandler, Arizona. The engineer that oversees the day to day operations is behind most of the design work that is being produced. The designs are simple, affordable, and they look amazing. Having the ability to identify trending technologies is also important to the longevity of your website. The last thing any business wants to do is invest in a website that becomes outdated and obsolete in the following years. Technologies come and go, take Flash for example. 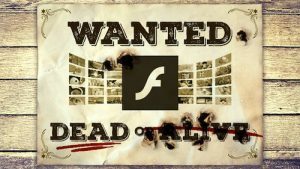 Adobe Flash was used to design and publish some of the most exotic websites in the internet for years. A custom Flash website at one point could have cost a business 20k or more. That technology has since dissolved into ancient language that nobody is using for web design. It’s important the web designers you hire understand this and don’t implement technologies like this that will leave you stuck with a worthless piece of property. Web design is always moving forward, the internet is always moving forward, understanding web standard and how the internet works is a major part of developing quality web sites for businesses. Copyright © 2019 BMH Solutions.